There are some things in life that need to be eaten in a very particular fashion. Or the Bourbon Biscuit, which is eaten by delicately taking apart the two biscuits and enjoying the chocolate cream filling as an entire separate entity. And there are ways of not eating things. Kit Kats are designed for eating as individual fingers. NEVER EVER munch across all four Kit Kat fingers as though a bloomin' cheese sandwich. 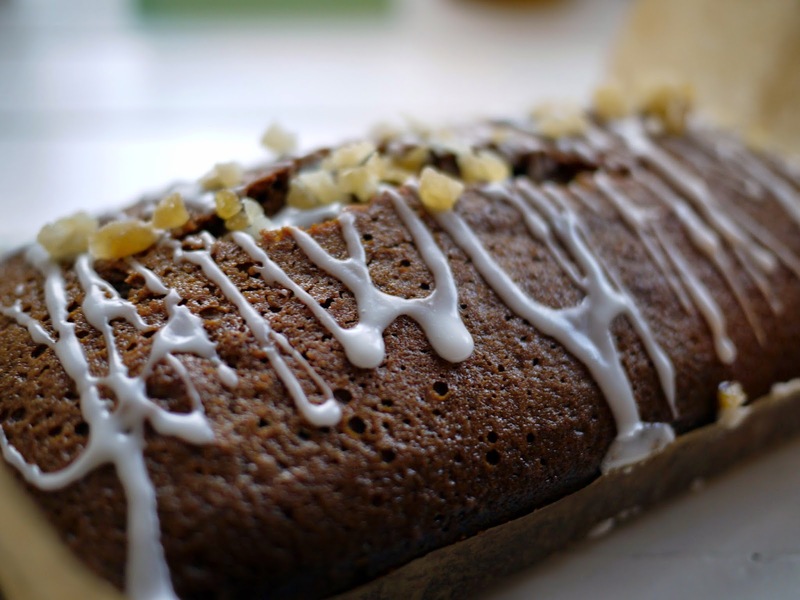 Meanwhile, the way to eat this Jamaican Ginger Cake? Preferably with a lovely hot cup of tea, curled up on an armchair with a ridiculous number of soft squidgy cushions, a blanket draped over your knees and infront of a roaring fire while the snow silently falls outside. Daydreaming about the origins of the Jamaican Cake is optional (that'd be long sandy beaches and azure blue skies in the Caribbean ocean rather than the McVities factory, please). *Unless you are Peter Czerwinski from Canada, current holder of the Guinness Book of Records Number of Jaffa Cakes Eaten in One Minute record. At 17 in a minute he probably didn't have time to carefully nibble around the edges, carefully lever off and eat the remaining biscuit before munching on the gooey orangey bit. 1. Preheat the oven to 170C/150C fan/Gas Mark 3. Grease and line a 900g/2lb loaf tin. In a large bowl sift the flour and spices. 5. Pour into the prepared tin and bake on a lower shelf for 1¼–1½ hours until it’s well-risen and firm to the touch. I love anything ginger with a cup of tea - for some reason (I don't do science so am unlikely to every find out) the hot tea really fires up the ginger taste! Ha, love this! That is exactly how I eat my jaffas and heaven forbid somebody should eat across the whole row of a Kit Kat. Total sacrilege! This looks like a lovely sticky cake too. I love how it looks like a giant sweet in the second picture! I'm not a fan of ginger but everyone else I know is and I'm sure they'd devour this in an instant. mmm This cake always reminds me of wintry sundays as a child. My parents used to buy it. 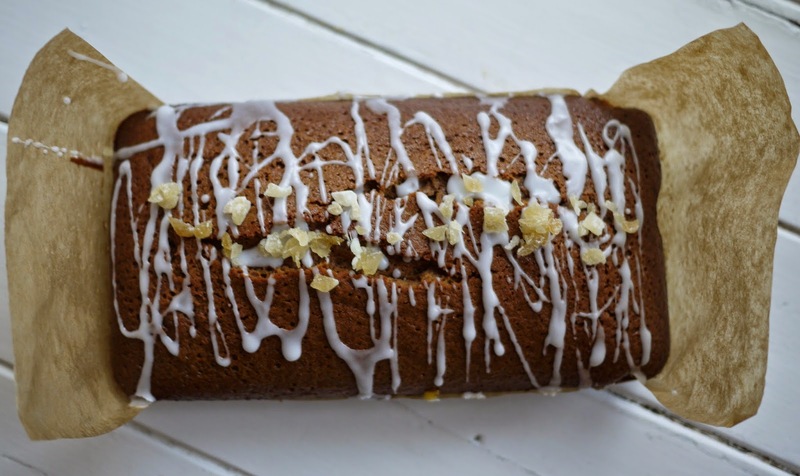 Yum, you just can't beat Jamaican Ginger Cake for a warming treat! Looks perfectly baked as well. Lovely ginger cake and I say that as a big fan of ginger cake. I quite like a slice at breakfast time - I've picked up some strange habits over the years. I used to eat jaffa cakes your way but these days I just bite into them. I think I may have become too jaded for my own good. I used to eat my Jaffa cakes by licking the chocolate layer off first, then the orange, then eating the sponge. Horrid childhood habit.......!! I love Jamaican ginger cake but a homemade one is so much nicer and this one looks stunningly sticky and gorgeous. Ginger cake is calling, this is the 2nd post I've read in as many minutes AND I haven't made one in a very long time. Sticky is a must and your drizzle sounds rather fab too. Love ginger cake, such a great tea time treat.